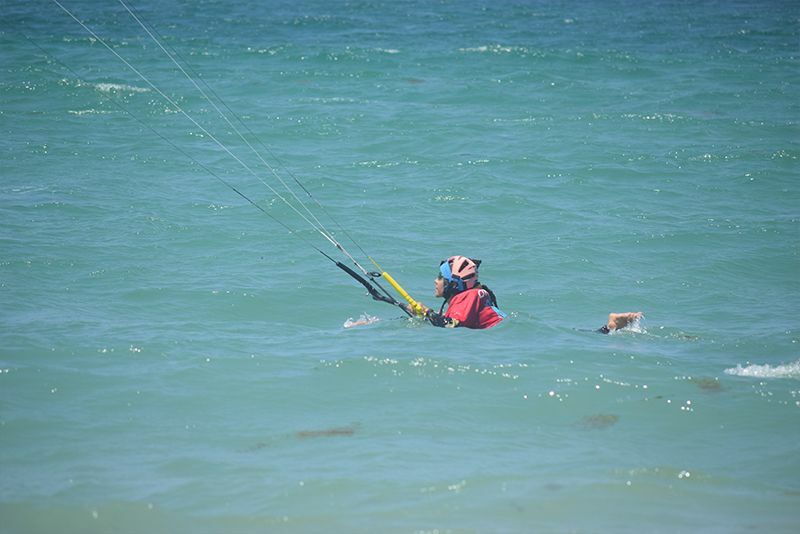 Always one instructor per kite. 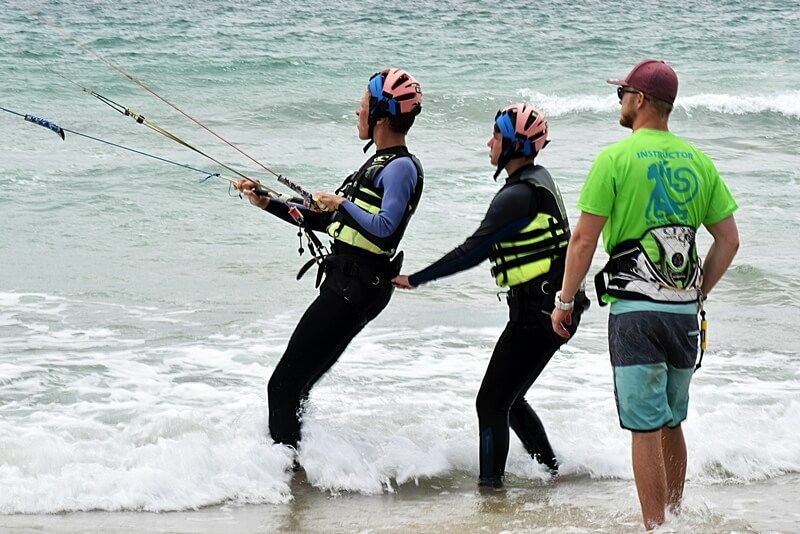 The student is never alone. 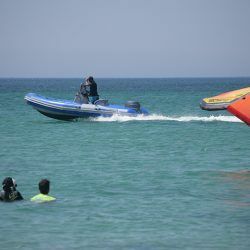 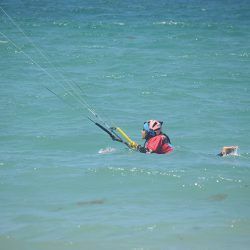 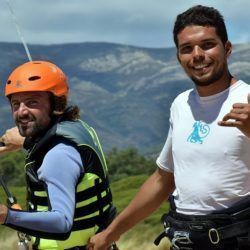 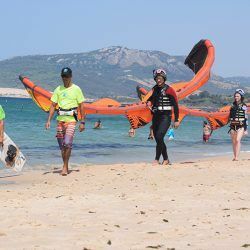 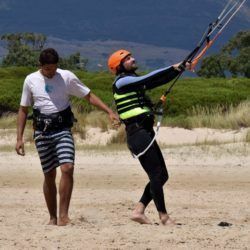 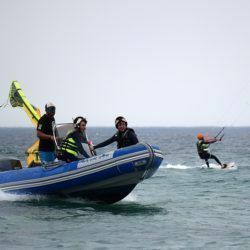 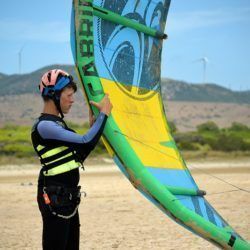 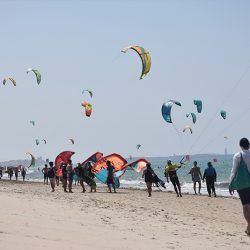 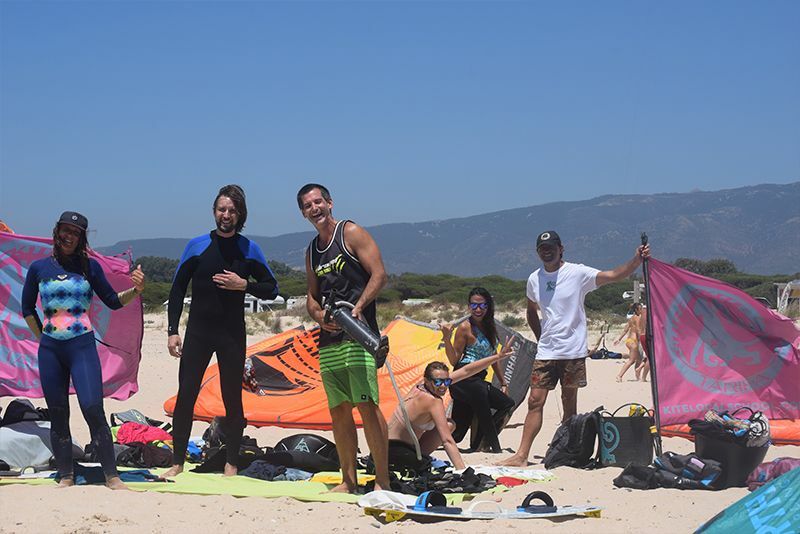 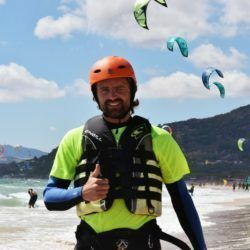 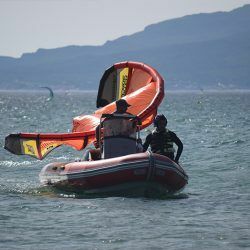 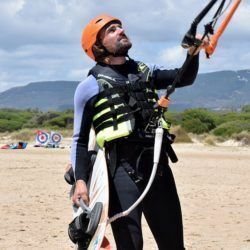 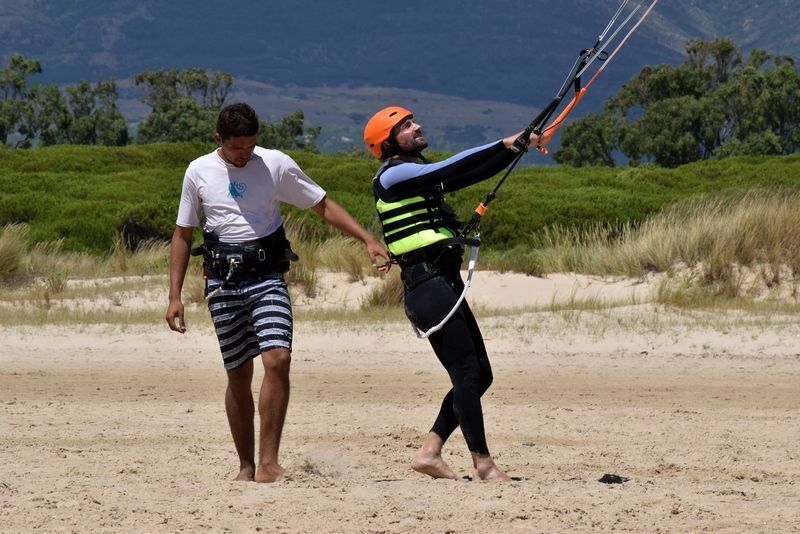 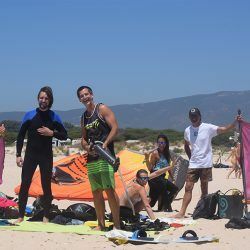 Kite Local School gives you the possibility to plan your courses in advance during your stay in Tarifa. 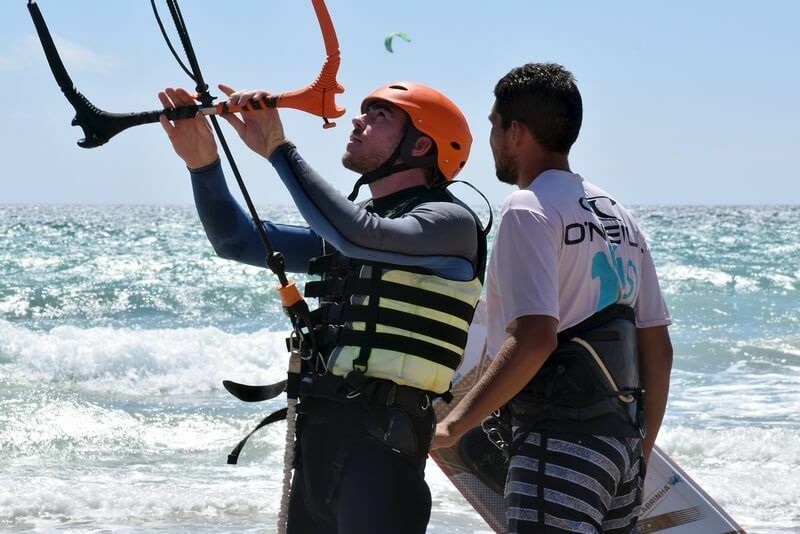 Through the following form you can inform us about what course you want to do and when. 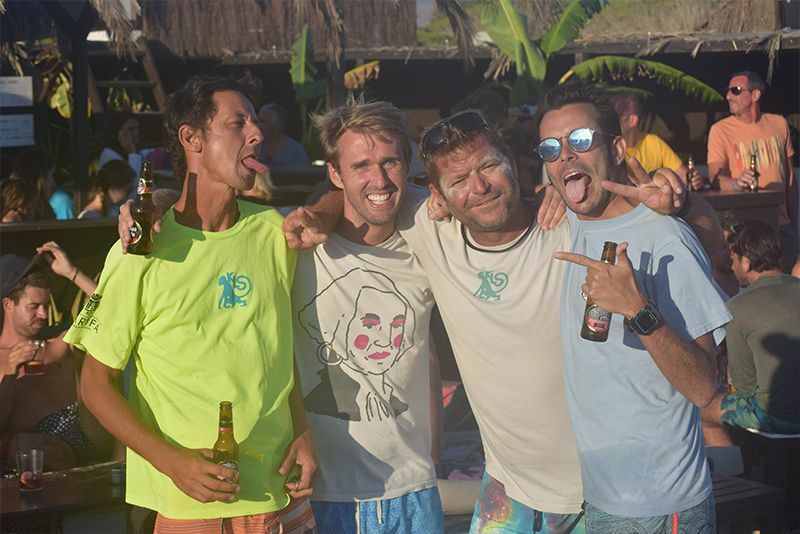 Our team will contact you to advise you and make the reservation. 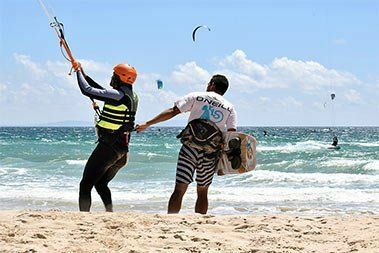 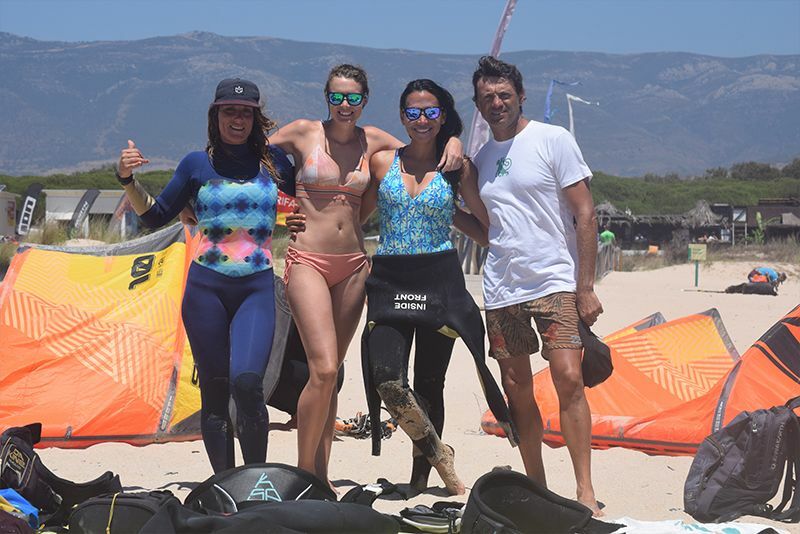 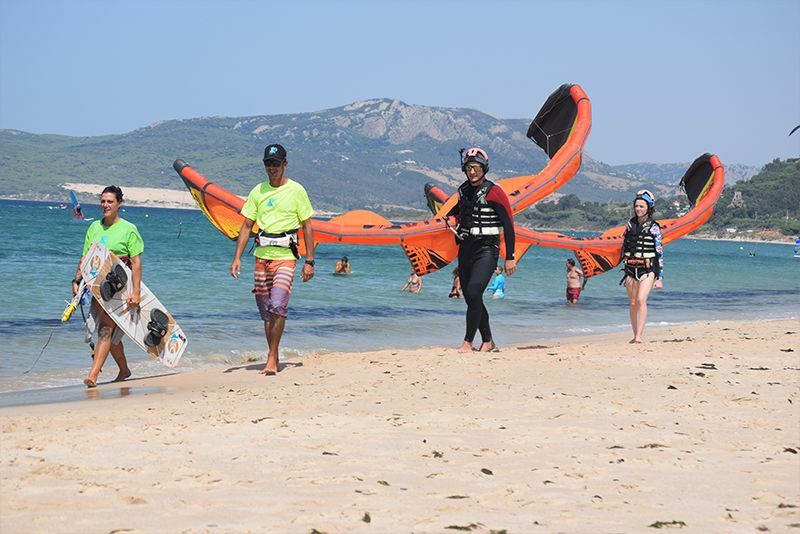 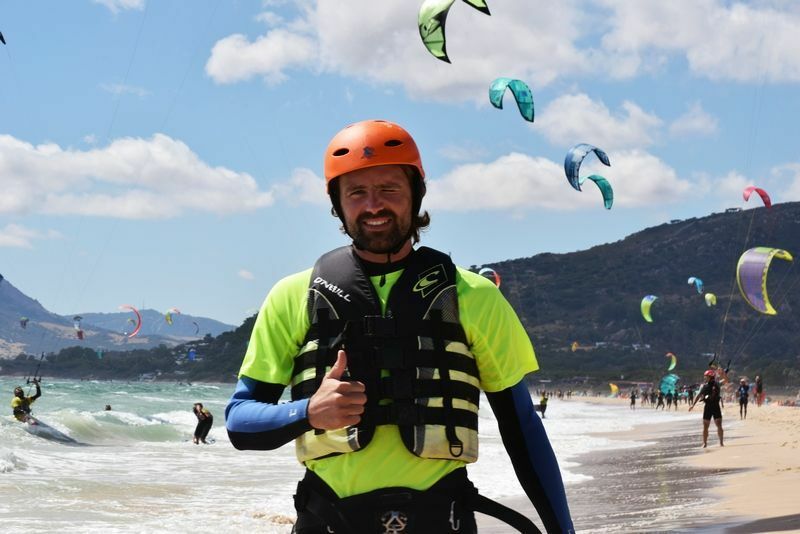 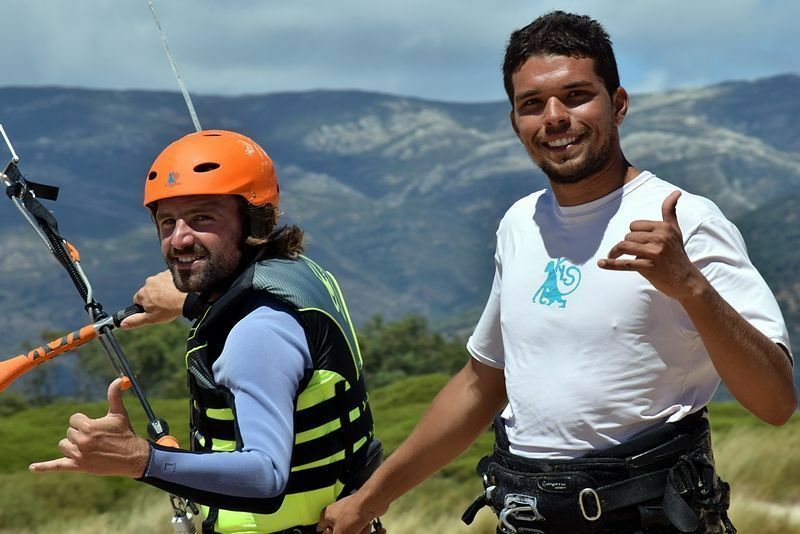 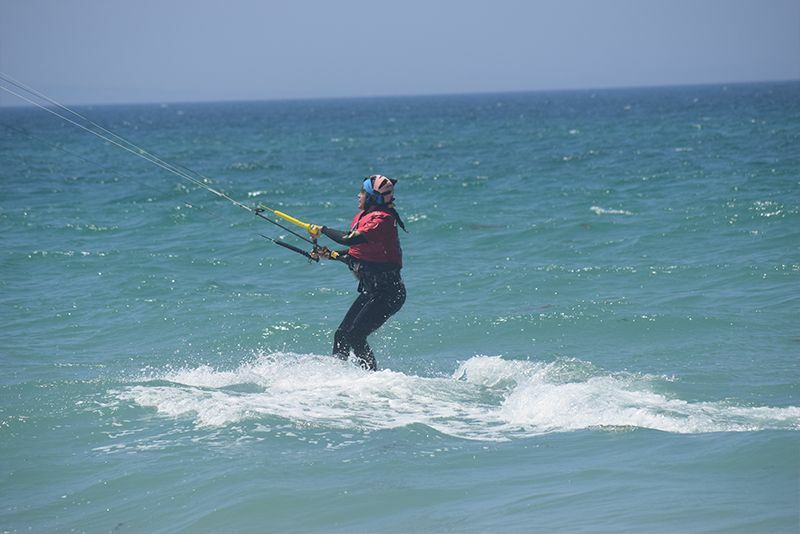 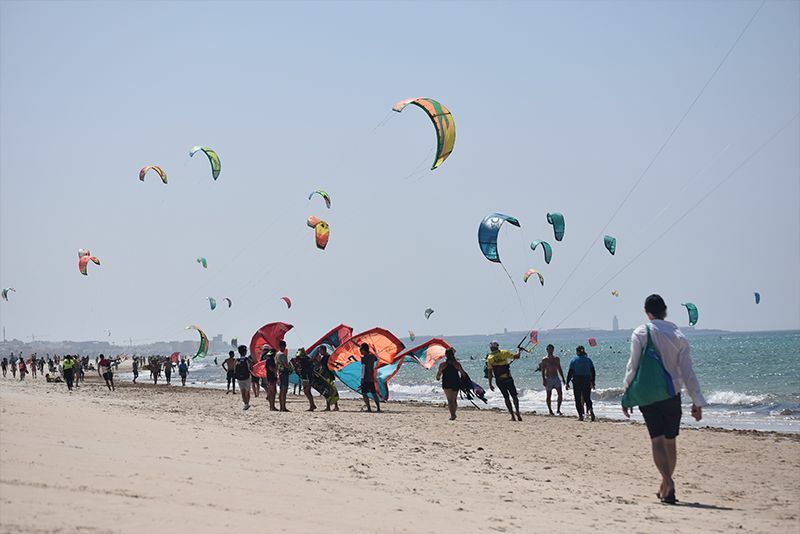 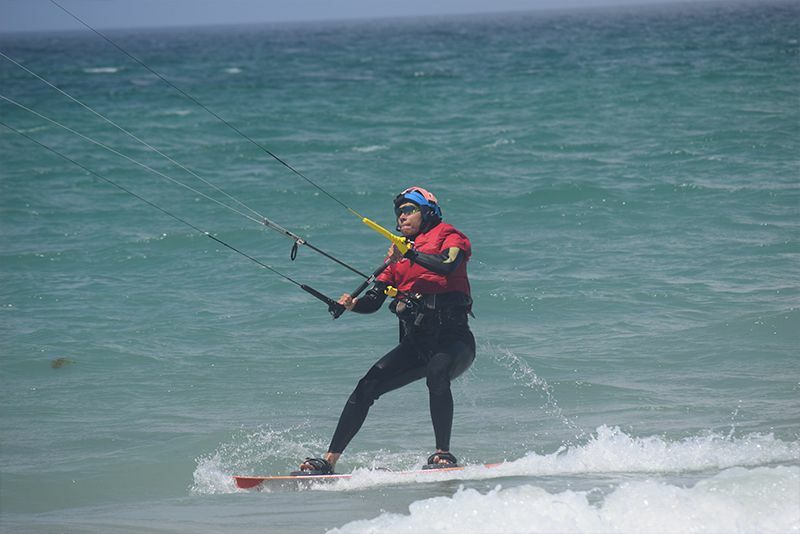 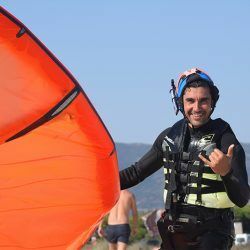 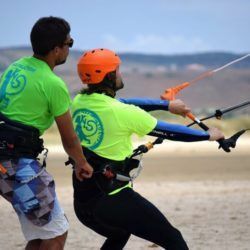 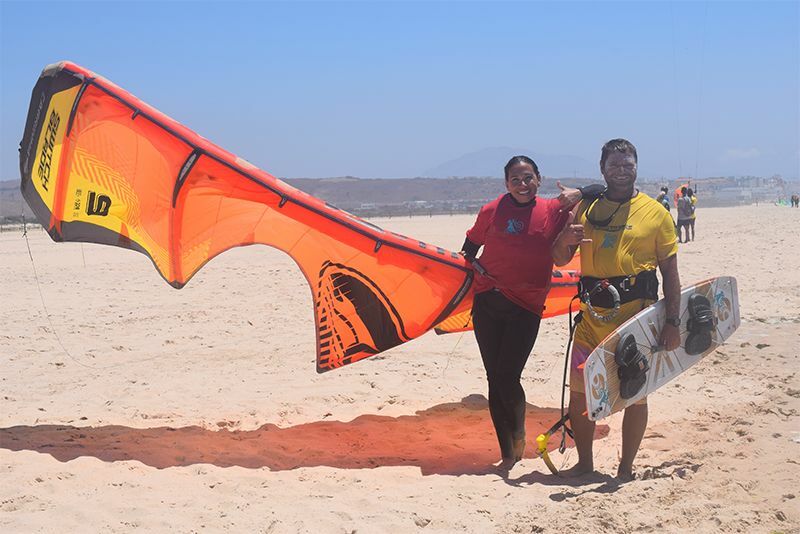 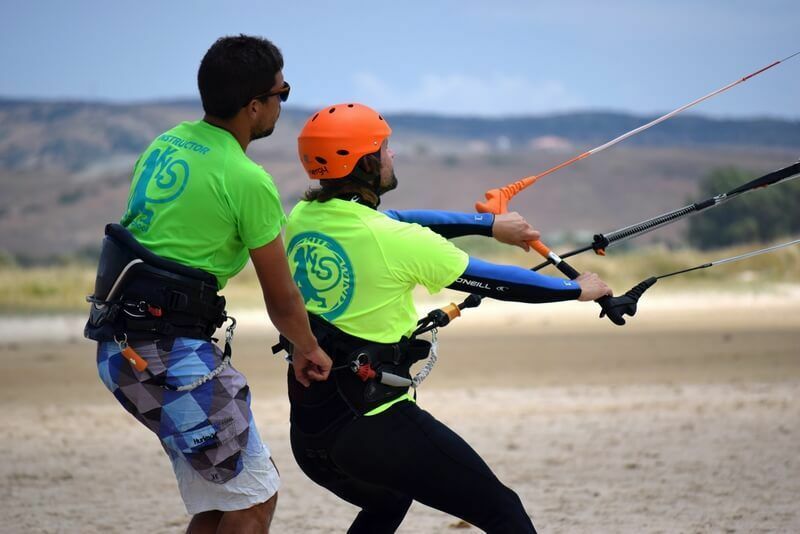 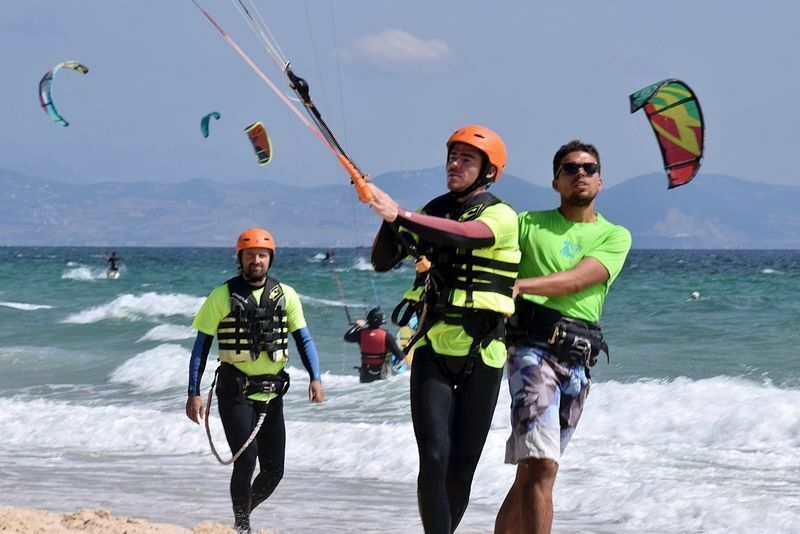 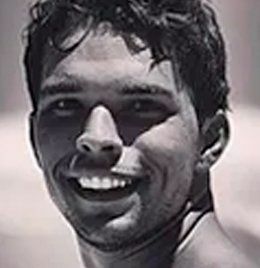 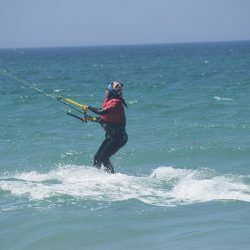 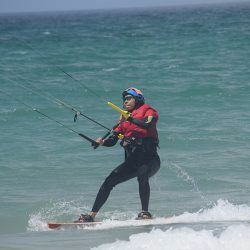 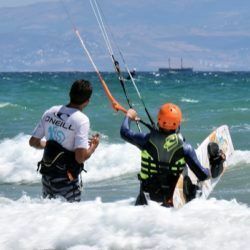 Kite Local School is one of the first schools of extreme and aquatic sports in Tarifa. 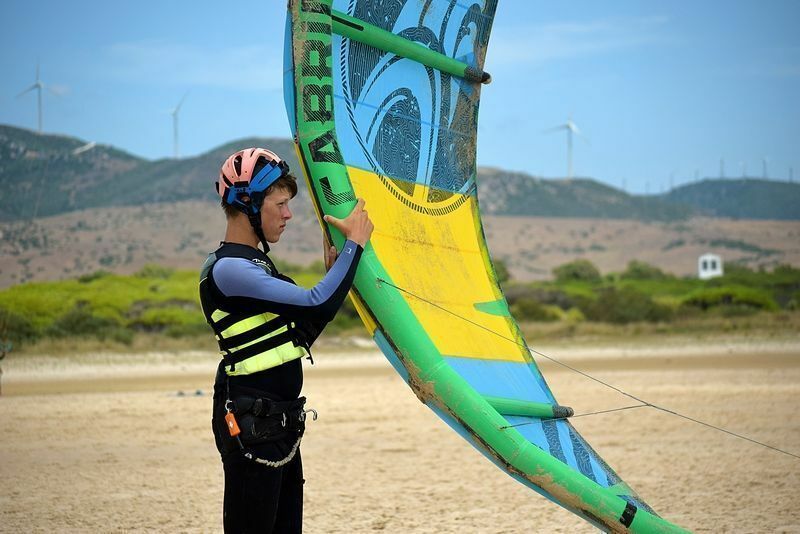 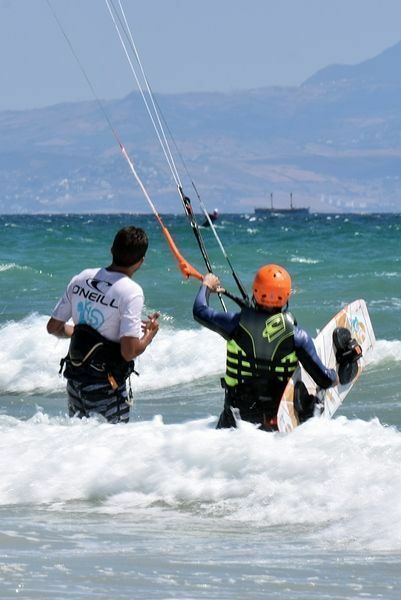 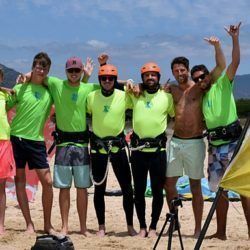 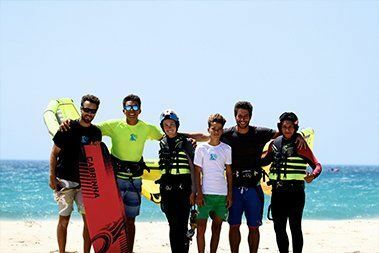 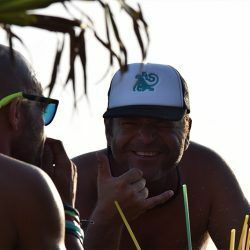 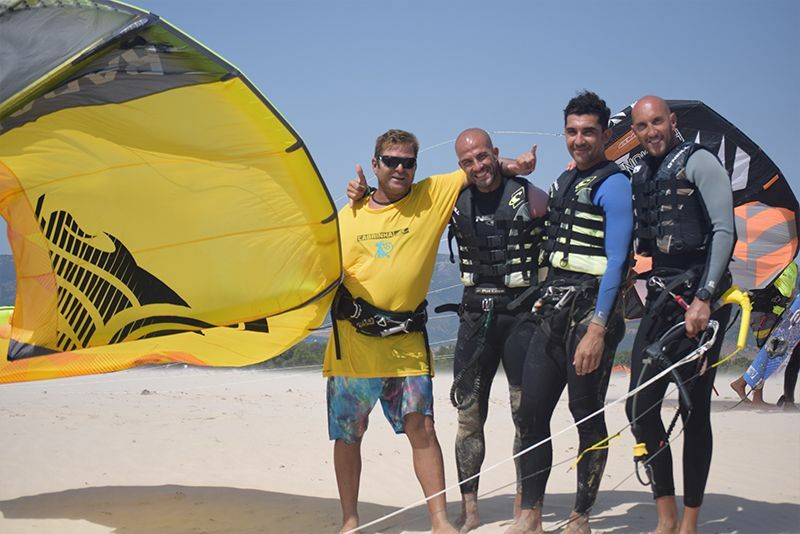 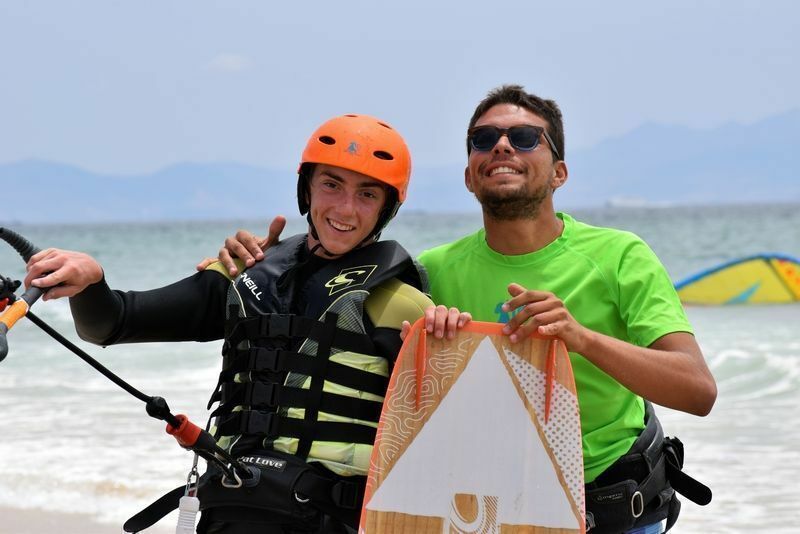 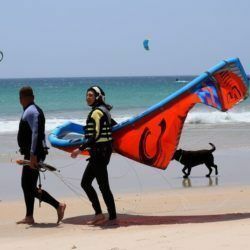 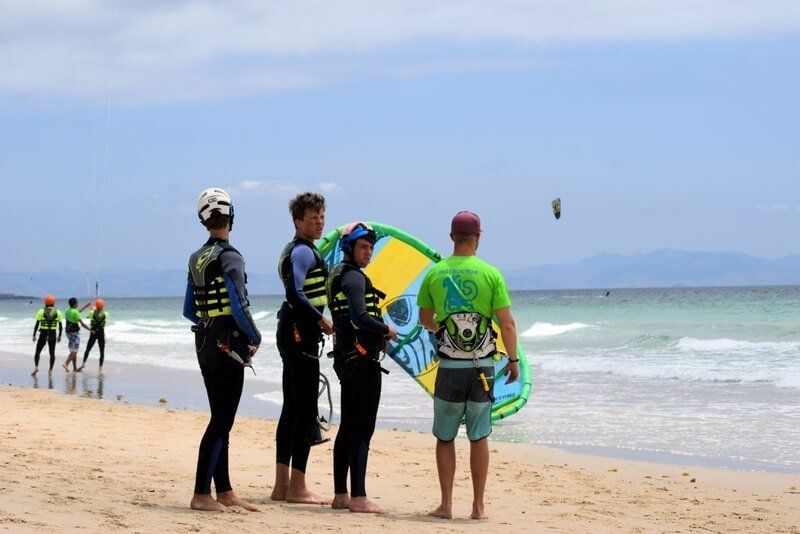 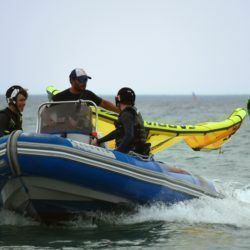 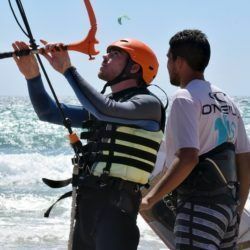 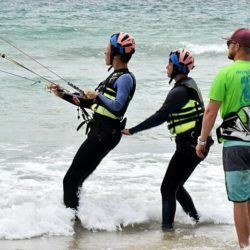 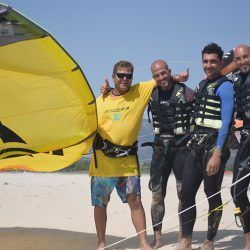 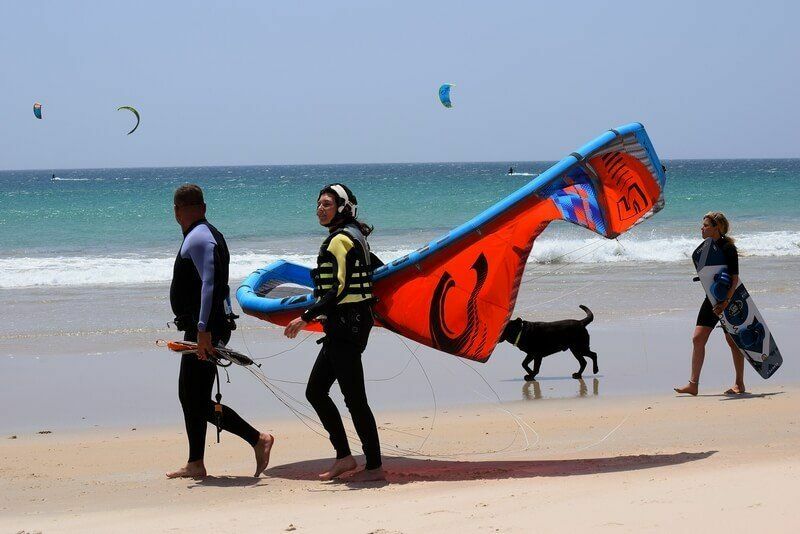 Since 2000, we have taught Kitesurfing, Surfing and Windsurfing classes. 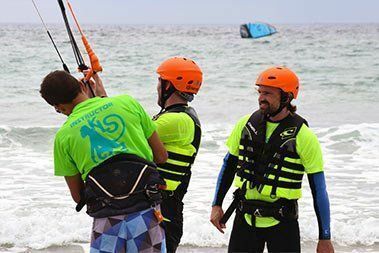 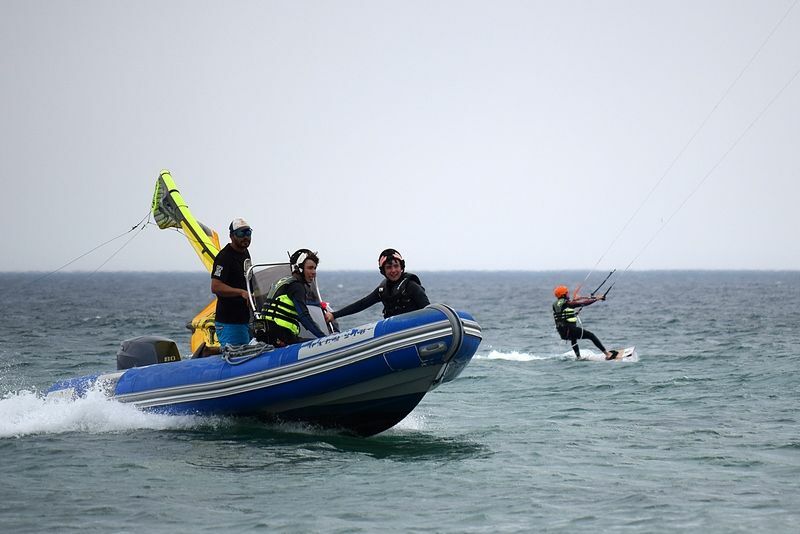 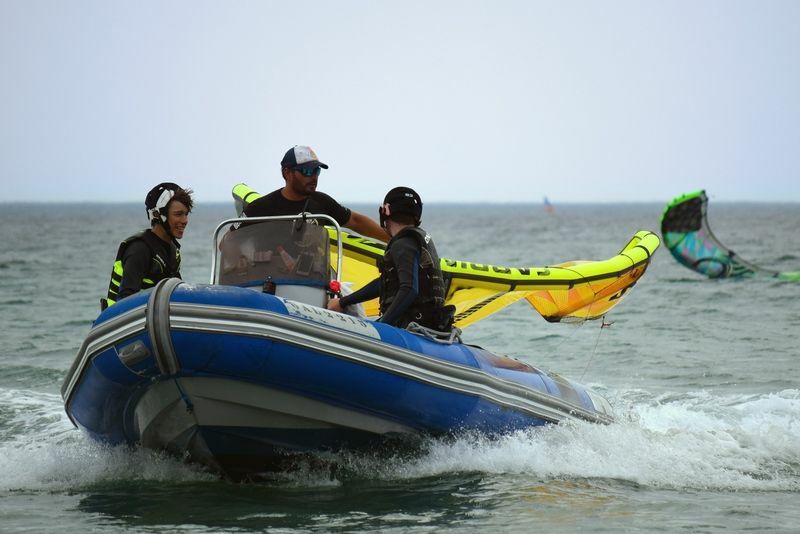 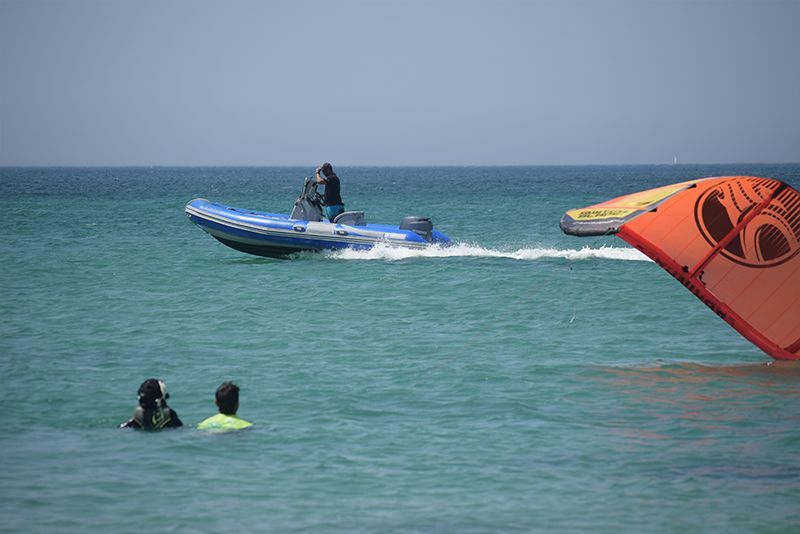 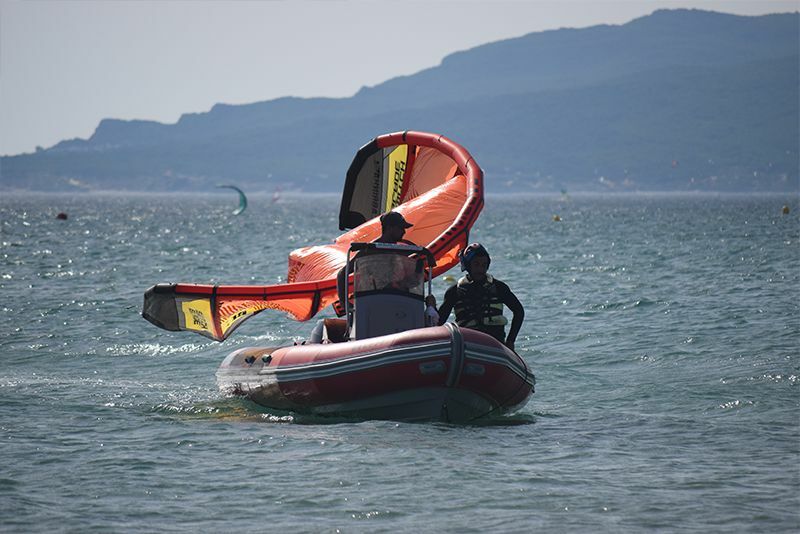 Everything is included: Kite material, IKO license, rescue boat and all risk insurance. 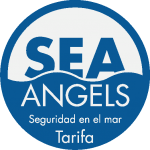 Economical prices, certified monitors with years of experience are at your disposal. 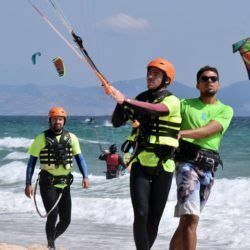 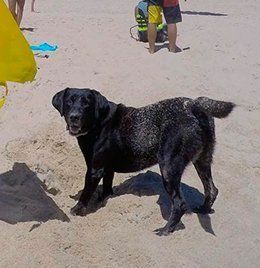 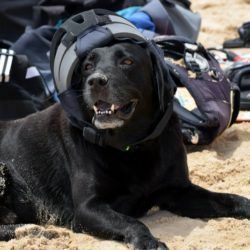 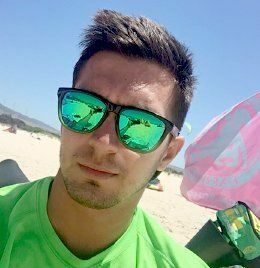 Come enjoy the sun, the sea and the beach with Kite Local Team! 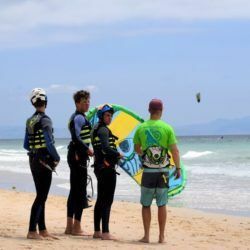 Additional information: Inform us of everything that you consider important and should know. 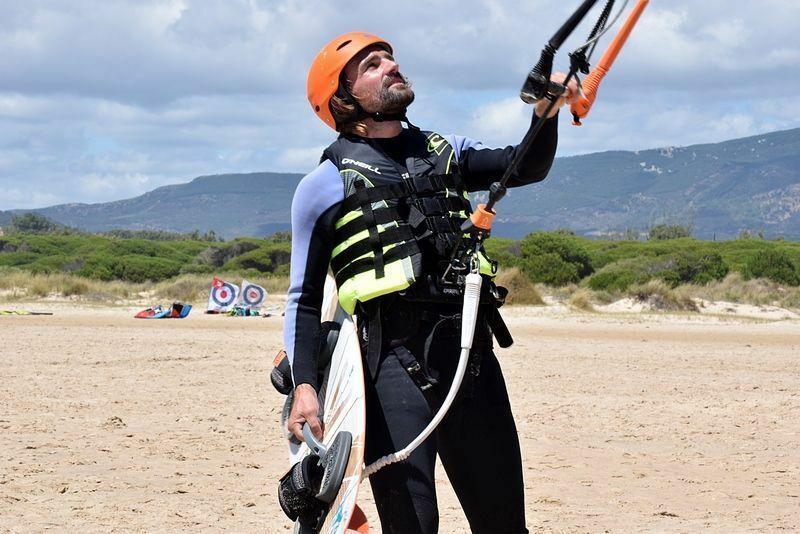 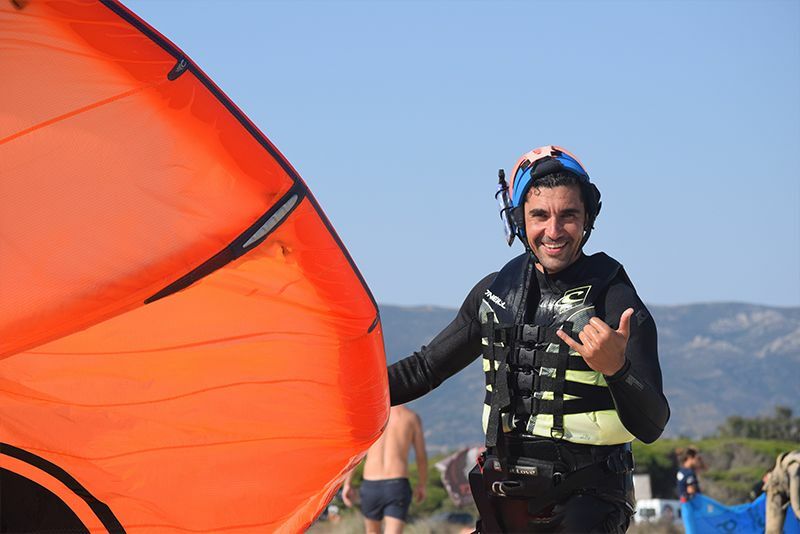 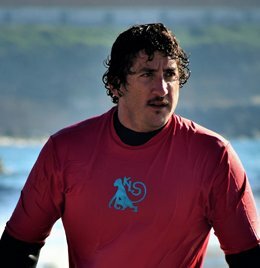 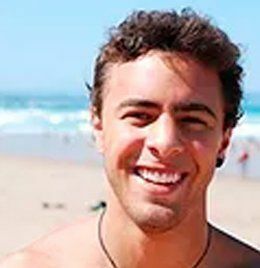 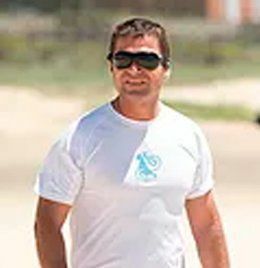 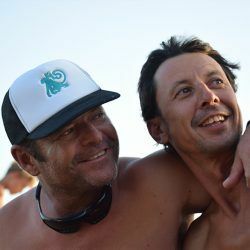 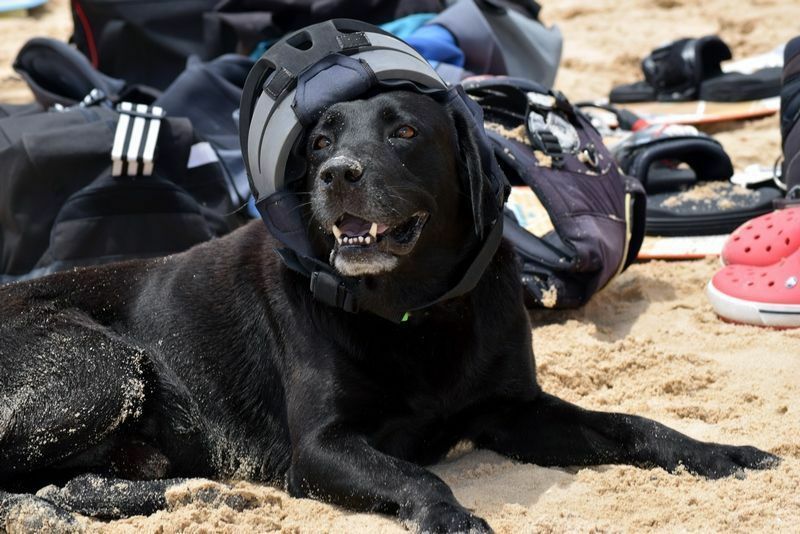 He started in the world of Kitesurf since its beginning. 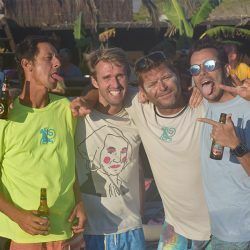 You will note these in his classes where fun and passion prevail, without overlooking the experience that he transmits in his courses. 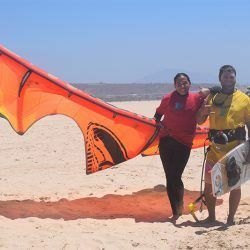 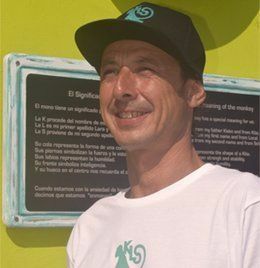 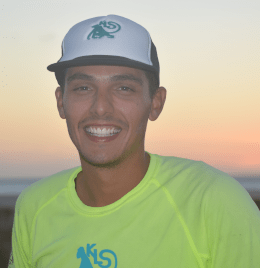 In the early 2000’s, Kite Local School emerged from the mind of the Tarifean and extreme sports lover Jesus Lara Serrano. 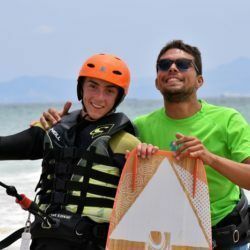 Kite Local School is for him the mean to share his passion for watersports and for nature.